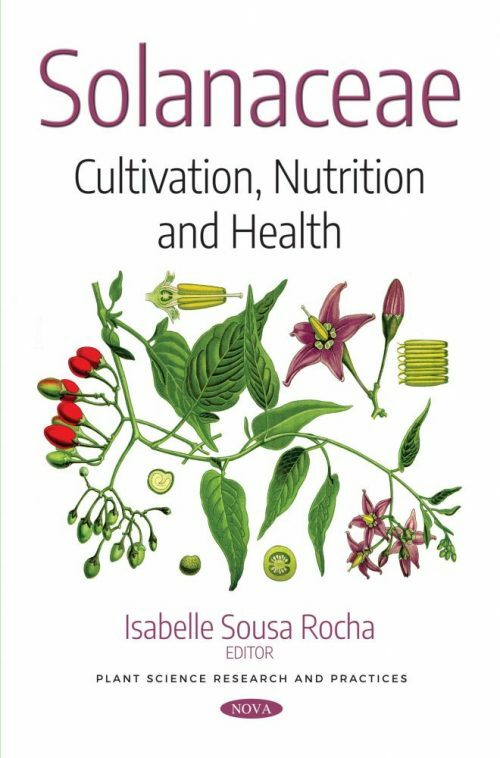 In Solanaceae: Cultivation, Nutrition and Health, the authors first set out to demonstrate how utilization of soil amendments in agricultural systems is an inexpensive means for limited-resource farmers looking for improvements in crop yield and quality to satisfy consumer needs of healthy food. A separate study considers the variety of biological activities, together with the nutritional composition and low cytotoxicity, of the mature fruits of S. lycocarpum in order to demonstrate that they represent an important food source with chemopreventive and therapeutic properties. Next, the total phenolic and flavonoid content, antioxidant, antibacterial, and allelopathic activities of methanol extract and fractions from ripe fruits of S. lycocarpum were studied to provide knowledge on the total phenolic and total flavonoid content in the methanol extract and fractions, as well as the antioxidant, antibacterial, and allelopathic activities. Afterwards, the oils, fatty acids, and methyl esters from S. lycocarpum fruits were evaluated for their antioxidant potential and allelopathic activity. The allelopathic effect against the seedlings of Lactuca sativa and Allium cepa showed promising results, with predominant effects of growth inhibition of hypocotyls and radicles in the lower concentration tested. In the concluding study, the effects of the ethanol extract and hydroethanol fraction of S. lycocarpum leaves on the growth of the Ehrlich experimental tumor were evaluated using three experimental groups.